His works include the novels Cry, the Beloved Country and Too Late the Phalarope. Paton was born in Pietermaritzburg in the Colony of Natal (now South Africa's KwaZulu-Natal province), the son of a civil servant. After attending Maritzburg College, he earned a Bachelor of Science degree at the University of Natal in his hometown, followed by a diploma in education. After graduation, Paton worked as a teacher, first at the Ixopo High School, and subsequently at Maritzburg College While at Ixopo he met Dorrie Francis Lusted. They were married in 1928 and remained together until her death from emphysema in 1967. Their life together is documented in Paton's book Kontakion for You Departed, published in 1969. They had two sons, Jonathan and David. In 1969, Paton married Anne Hopkins. This marriage lasted until Paton's death. He served as the principal of Diepkloof Reformatory for young (native African) offenders from 1935 to 1949, where he introduced controversial "progressive" reforms, including policies on open dormitories, work permits, and home visitation. The men were initially housed in closed dormitories; once they had proven themselves trustworthy, they would be transferred to open dormitories within the compound. Men who showed great trustworthiness would be permitted to work outside the compound. In some cases, men were even permitted to reside outside the compound under the supervision of a care family. Fewer than 5% of the 10,000 men who were given home leave during Paton's years at Diepkloof ever broke their trust by failing to return. Paton volunteered for service during World War II, but was refused. After the war he took a trip, at his own expense, to tour correctional facilities across the world. He toured Scandinavia, England, continental Europe, Canada, and the United States. During his time in Norway, he began work on his seminal novel Cry, The Beloved Country, which he completed over the course of his journey, finishing it on Christmas Eve in San Francisco in 1946. There, he met Aubrey and Marigold Burns, who read his manuscript and found a publisher: the editor Maxwell Perkins, noted for editing novels of Ernest Hemingway and Thomas Wolfe, guided Paton's first novel through publication with Scribner's. Paton published numerous books in the 1950s and became wealthy from their sales. On 11 January 2018, a Google Doodle honored the researcher on what would have been his 115th birthday. In 1948, four months after the publication of Cry, The Beloved Country, the right-wing National Party was elected in South Africa. Paton, together with Margaret Ballinger, Edgar Brookes, and Leo Marquard, formed the Liberal Association in early-1953. On 9 May 1953, it became the Liberal Party of South Africa, with Paton as a founding co-vice-president, which fought against the apartheid laws introduced by the National Party government. He served as President of the LPSA until it's forced dissolution by the government in the late-1960s; officially because its membership comprised both Blacks and Whites. Paton was a friend of Bernard Friedman, founder of the Progressive Party. Paton's writer colleague Laurens van der Post, who had moved to England in the 1930s, helped the party in many ways. Van der Post knew that the South African Secret Police were aware that he was paying money to Paton, but could not stop it by legal procedures. Paton himself adopted a peaceful opposition in protests against apartheid, as did many others in the party; some SALP members took a more violent route, and consequently some stigma did attach to the party. Paton's passport was confiscated upon his return from New York in 1960, where he had been presented with the annual Freedom Award. It was not returned to him for ten years. Paton retired to Botha's Hill, where he resided until his death. He is honoured at the Hall of Freedom of the Liberal International organisation. Cry, The Beloved Country has been filmed twice (in 1951 and 1995) and was the basis for the Broadway musical Lost in the Stars (adaptation by Maxwell Anderson, music by Kurt Weill). Paton's second and third novels, Too Late the Phalarope (1953) and Ah, but Your Land is Beautiful (1981), and his short stories, Tales From a Troubled Land (1961), all deal with the same racial themes that concerned the author in his first novel. Ah, but Your Land is Beautiful was built on parallel life stories, letters, speeches, news and records in legal proceedings, and mixed fictional and real-life characters, such as Donald Molteno, Albert Luthuli and Hendrik Verwoerd. The novel is categorised as historical fiction, as it gives an accurate account of the resistance movement in South Africa during the 1960s. "Paton attempts to imbue his characters with a humanity not expected of them. In this novel, for example, we meet the supposedly obdurate Afrikaner who contravenes the infamous Immorality Act. There are other Afrikaners, too, who are led by their consciences and not by rules, and regulations promulgated by a faceless, monolithic parliament." Paton was a prolific essay writer on race and politics in South Africa. In Save the Beloved Country he plays on the famous title of his first novel, but keeps a serious tone in discussing many of the famous personalities and issues on different sides of South Africa's apartheid struggle. His Anglican faith was another factor in his life and work: the title of one work is Instrument of Thy Peace. Paton also wrote two autobiographies: Towards the Mountain deals with Paton's life leading up to and including the publication of Cry, the Beloved Country (an event that changed the course of his life) while Journey Continued takes its departure from that time onwards. He also wrote biographies of his friends Jan Hendrik Hofmeyr (Hofmeyr), and Geoffrey Clayton (Apartheid and the Archbishop). Another literary form that interested him throughout his life was poetry; the biographer Peter Alexander includes many of these poems[clarification needed] in his biography of Paton. Publications of Paton's work include a volume of his travel writing, The Lost City of the Kalahari (2006), and a complete selection of his shorter writings, The Hero of Currie Road. The Alan Paton Award for non-fiction is conferred annually in his honour. ^ Paton, Alan (1988). Journey Continued: An Autobiography. Oxford University Press. p. 2. ISBN 9780192192370. ^ "Alan Stewart Paton". South African History Online. Retrieved 14 June 2015. ^ Paton, Alan (1988). Journey Continued: An Autobiography. Oxford University Press. p. 151. ISBN 9780192192370. ^ a b c d e f g Liukkonen, Petri. 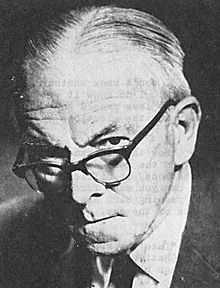 "Alan Paton". Books and Writers. Finland: Kuusankoski Public Library. Archived from the original on 21 January 2008. ^ a b c d Herbert Mitgang (13 April 1988). "Alan Paton, Author Who Fought Against Apartheid, Is Dead at 85". The New York Times. Retrieved 8 May 2012. ^ Avakian, Talia (10 January 2018). "Google Doodle Celebrates South African Author and Anti-Apartheid Activist Alan Paton", Time. Retrieved 11 January 2018. ^ "Formation of the Liberal Party of South Africa". Alan Paton Centre and Struggle Archive. University of KwaZulu-Natal. Retrieved 1 January 2018. ^ "A mixture of ice and fulfilled desire – Mail & Guardian Online: The smart news source". Mg.co.za. 14 November 2005. Retrieved 13 May 2010. ^ "Umuzi – The Hero of Currie Road – Detail Page". Umuzi-randomhouse.co.za. 27 May 2008. Archived from the original on 27 December 2008. Retrieved 13 May 2010. Holland, Roy (2008). Alan Paton Speaking. Clashnessie, SCO, UK: Diadem Books. ISBN 978-0-9559741-4-4. 116 pp. Paton, Anne (1992), Some Sort of a Job: My Life with Alan Paton, ZA: Penguin, ISBN 978-0-67083969-8 .